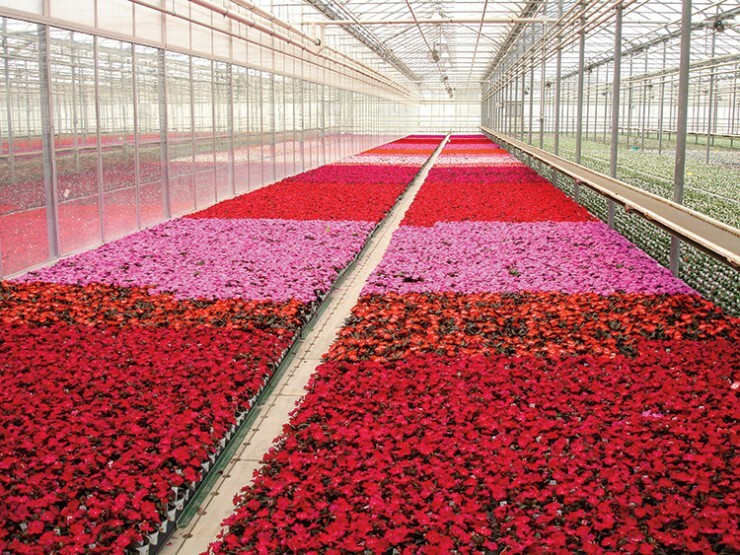 Michigan’s blooming floriculture industry generates some major flower power in annual economic impact. 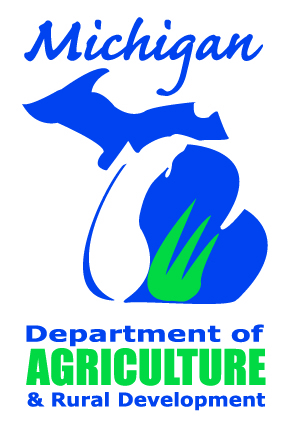 The Michigan floriculture industry – ranked third nationally in production output – consists of 600 producers and growers that provide quality flowers, foliage plants and bedding materials statewide and throughout the country. “Consumers are returning to indoor and outdoor beautification efforts at home and throughout the year, which helps them de-stress. Our businesses are incredibly important to consumers’ well-being and our state’s growth,” says Don Marvaso, Jr., Michigan Floriculture Growers Council president. 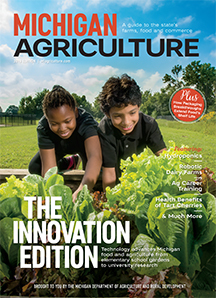 Nursery crops and floriculture operations comprise Michigan’s fourth-largest agriculture segment. Marvaso says the industry continues to flourish. 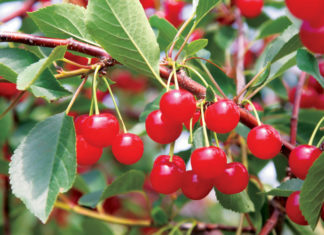 In 2012, the wholesale value of such crops hit $376 million. Michigan led the nation in value of sales for flats of begonias and impatiens; hanging baskets of begonias, geraniums and petunias; potted seed geraniums, petunias and Easter lilies; and transplants of bedding plants and herbaceous perennials. 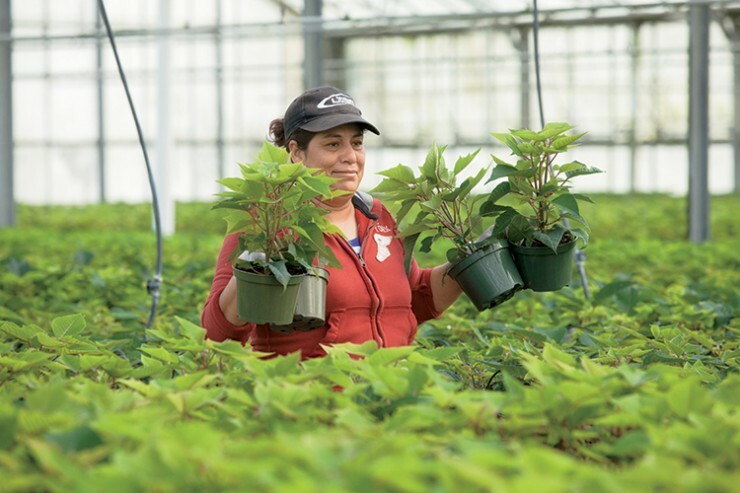 The third-generation, family-owned company produces plants year-round for sales in garden centers and indoor floral departments. They also direct their own trucking business, Peak Transportation Solutions, Inc., so plants can be distributed to customers 52 weeks a year. Situated on more than 30 acres and employing 700 people, Masterpiece serves customers in Michigan, Wisconsin, Illinois, Indiana, Ohio, Kentucky and Missouri. Many of their indoor plants and flowers are sold in Meijer stores. They also distribute cut flowers grown in South America. “We are involved with nearly all facets of floriculture, including cut flowers, annual bedding plants, cut greens, potted flowering and foliage plants,” Stiles says. 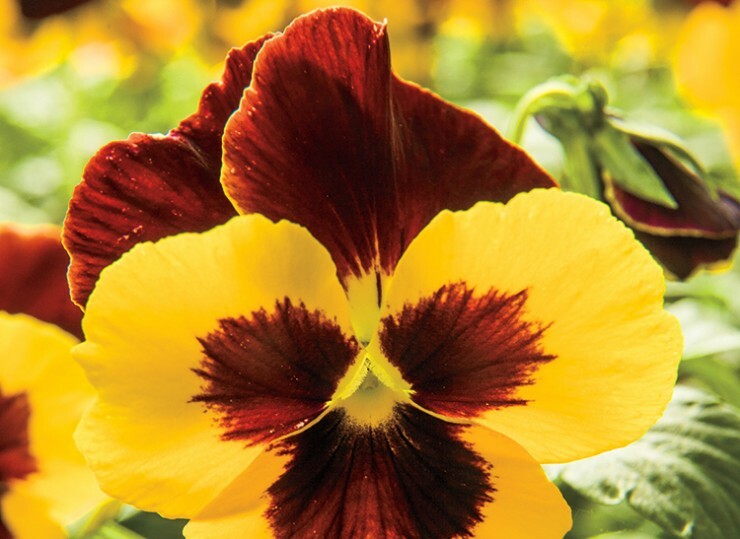 Another multi-generational operation, Pinter Brothers Greenhouse, Inc., in Ypsilanti, runs 12 acres of annual plugs, or “little plants,” spring annuals, poinsettias and mums in greenhouses. Why does Michigan have such significant floriculture commerce? Stiles gives three reasons. “Immigrants who settled here were growers of vegetables and flowers in their homelands of the Netherlands, Germany and Italy. They brought production and the know-how and expertise with them. Secondly, Michigan State University was the first land-grant college and has always had a strong emphasis toward all types of horticulture. This has helped the industry grow and apply new research. Lastly, we are relatively close to a number of major population centers that provide good markets for floriculture products,” he says. It is no wonder the ever-growing industry now boasts 1,077 acres of covered area and more than 3,000 acres of open ground crops. 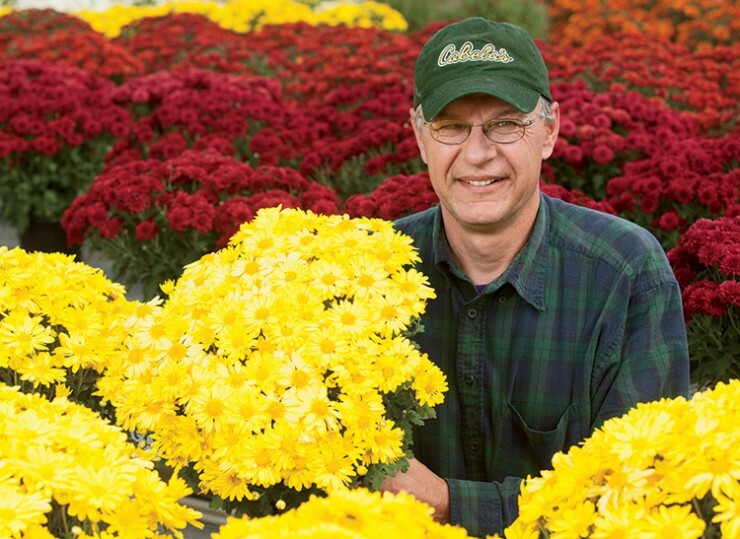 More than 9,000 Michiganders are employed in the state’s floriculture trade.